Located just 15 kilometres from Sydney CBD, the Sydney Olympic Park (SOP) has transformed from a polluted wasteland into a growing commercial precinct. While the stadiums and sporting facilities are a constant reminder of the glory of the 2000 Olympics, the SOP is now also a place for a growing community of residents, workers, students and visitors. Over the last decade, the growth of the town centre has been supported by the construction of new commercial developments which has, in turn, encouraged the development of new retail amenity to support an increasing residential population. Since Q1/2010 the Homebush office market has grown 22.7% to 112,000 sqm. However, over the last two years there has been very little new supply added to the market. In 2012, when prime vacancy was at record lows of 1.0%, developers acknowledged that an unsatisfied tenant demand in the area presented an opportunity. This high demand/low vacancy environment gave developers GPT Group and FDC Construction confidence to inject supply into the market on a speculative basis. GPT began construction on 5 Murray Rose in Q4/2010 and had 100% pre-commitment in Q1/2012 for a Q2 completion. Similarly, FDC Construction commenced construction on 7 Murray Rose in Q3/2011 and secured 100% pre-commitment in Q2/2012 for a Q1/2013 completion. 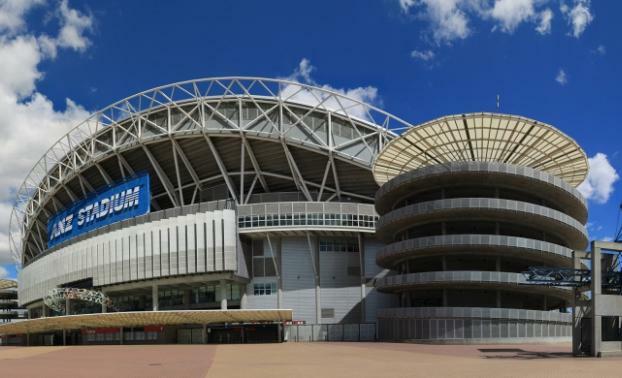 After a period of market deterioration towards the end of 2012 where vacancy peaked at almost 6%, vacancy in Sydney Olympic Park has been trending downwards. Since the start of 2013, vacancy has decreased to below 3.0%. Tightening vacancy rates have again given developers confidence to inject speculative supply into the market, with GPT Group and DEXUS Property Group both commencing speculative developments at the end of 2013. These two developments are the only projects currently under construction, with 8,500 sqm due to complete in 2014 (DEXUS), and 13,700 sqm in 2016 (GPT). So far GPT have been successful in securing a pre-commitment of 12,900 sqm from Samsung. As vacancy continued to decline in Q1/2014, we can expect that further development approved in SOP will also go ahead speculatively as Capital Corporation begins demolition on Stage 1 of their 42,000 sqm office development.